Inspiration Corner. You’re never too old! I often get asked by non swimmers, if they’re too old to learn to swim. As some of you know, I learned to swim freestyle myself at 48 years and I’ve never looked back. 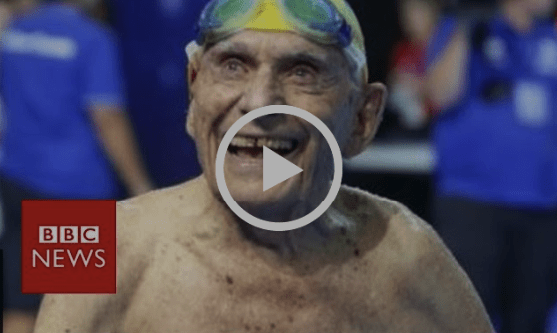 This video from the BBC of George Corones’ record breaking swim at 99 years of age, just shows what’s possible.